The Tamar Valley AONB team has received initial National Lottery support* for the Tamara Landscape Partnership project. Development funding of £180,000 has been awarded by the Heritage Lottery Fund (HLF) to help the Tamar Valley AONB and its 34 partners progress their plans to apply for a full National Lottery grant of £2.3million at a later date. 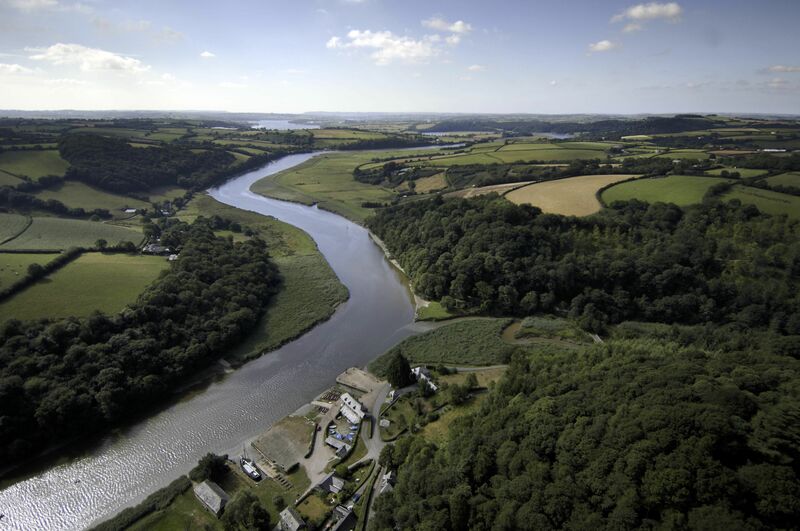 The scheme aims to provide a brighter future for the Tamar Valley and its communities by making the landscape more robust and less susceptible to a range of pressures, through a programme of 12 individual, interconnected and substantial projects. Tamara Landscape Partnership will work with farmers, landowners and communities to manage landscapes that are rich in wildlife, as well as cultural and historic heritage; help improve access to special places and promote ways for people to enjoy the landscape whilst improving their health and wellbeing. Over the next 18 months, new staff will be appointed to produce the Landscape Conservation Action Plan, detailing the proposed works for the 5-year delivery phase. This will involve working with communities within the Valley, Plymouth and adjacent towns to involve them in the rivers and the surrounding countryside. It will bring farmers and landowners together to develop new ideas, such as natural flood management and tree planting, creating wildlife habitats and increasing on-farm carbon, which will all help to mitigate the effects of climate change. Corinna Woodall, Manager of the Tamar Valley AONB, says: “We are absolutely delighted to have secured initial National Lottery support. This project is all about recognising the smaller details that make the Tamar Valley distinctive and why people cherish the area so much. We have such a strong partnership, we are really looking forward to bringing this vision together, and we are very grateful to HLF for investing in us”. Ross Kennerley, South West lead for Woodland Trust, one of the project partners, says; “This is a great opportunity for landowners to work with local communities to secure a strong future landscape for the Tamar Valley. In particular, the Woodland Trust is keen to support the management of existing woodlands, and planting of new woods and trees, as part of a robust future landscape. Helen Ryan, from Plymouth Community Homes, says; “At Plymouth Community Homes we’re about more than just bricks and mortar, and we look forward to working with our partners in the Tamar Valley to help communities towards a brighter future for the Valley”. Keep a close eye on www.tamarvalley.org.uk or Facebook and Twitter @TVAONB for progress on Tamara.